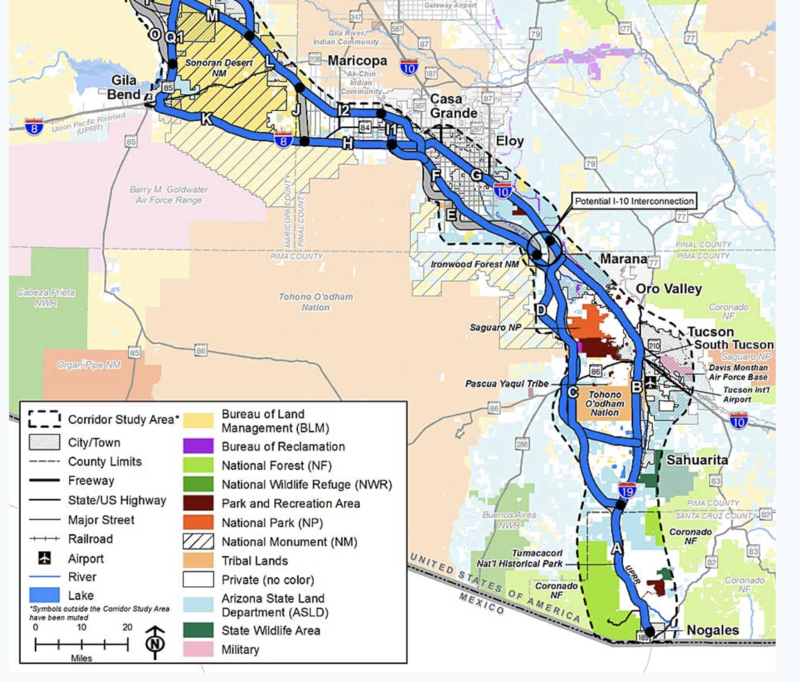 There is absolutely no reason to bulldoze out a new freeway Corridor in Southern Arizona. That is unless I own 10 acres in the proposed right of way. The existing I-10 Corridor should be used and enhanced including possibly a dedicated 65 mph truck corridor and maybe four lanes each Direction.